Kate Middleton and Kim Kardashian are unlikely style twins | HELLO! July 24, 2018 - 20:37 BST Laura Sutcliffe Kate Middleton carried a cream £925, Dolce & Gabbana ‘Sicily’ tote bag to Wimbledon which she wore with a white printed Jenny Packham dress. A day later, Kim Kardashian wore the same bag, but smaller and in black, to the Beatycon event in Los Angeles. Who can forget the Duchess of Cambridge's stylish appearance at Wimbledon on 14 July? The beautiful mother-of-three accompanied sister-in-law the Duchess of Sussex and wore a white and navy printed Jenny Packham dress which looked dreamy and the perfect tennis-watching attire as she sat in the royal box. The 36-year-old accessorised her ensemble with a cream 'Sicily' tote bag by Dolce & Gabbana which retails at £925. 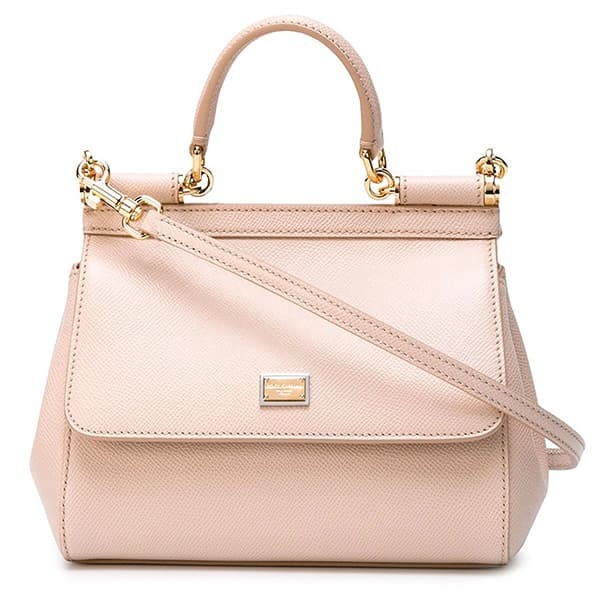 The gorgeous bag had a statement top handle and sleek gold hardware and is the kind of classic style that can be worn with a variety of outfits due to its subtle shade. A day later in Los Angeles, a certain Kim Kardashian wore the very same arm candy - except hers was black and slightly smaller, and was actually a vintage piece which sadly is no longer available to purchase. Kim, 37, attended the Beautycon event in an all-black, cut-out ensemble and her bag was the perfect finishing touch. Who would have thought it? This isn’t the first time that the wife of Kanye West has unwittingly twinned with a royal - it turns out that the Keeping up with the Kardashians star wears the exact same foundation as Duchess Meghan. The Armani Luminous Silk Foundation - which is priced at £42 - was a firm favourite of the wife of Prince Harry - with her former makeup artist Lydia F. Sellers confirming the beauty fact. Explaining how she used to apply it on the former Suits star, she remarked: "Every time I'd do her makeup, she'd say, 'Can we just make sure my freckles are peeking through? I don't want a ton of foundation.' It was more about the amount of product that went on her skin and keeping it really fresh and dewy, rather than caking it on." The daughter of Kris Jenner loves the medium coverage formula so much, she even 'panic tweeted' back in 2015 when she wrongly believed it to be discontinued. She used the smoothing skin formula in a makeup tutorial on her hugely followed app and has mentioned it in countless beauty interviews.